If you were to ask me what is the most frightened nation in terms of cyber offense without a doubt I say it is China. The Beijing government has distinguished itself in recent years in the field of warfare demonstrating extraordinary abilities. It is among the first nations to have understood the importance of the cyber space and the effectiveness of cyber operations, this is why internet is overflowing with reports of Chinese hacking groups made ​​more or less close to the government. In reality, right on hacking matter, is difficult to think that someone can escape in the asian underground to tight control of the government which, however, encourages and promotes the use and study of information technology for military actions. Interesting the network of relationships in cyber warfare that even China is tightening with some nations, first of all Iran and North Korea, countries with which it has established close technological collaboration. Why would a country so advanced co-operate with popolation so distant from the social and economic perspective? What are the advantages? To a casual eye these relationships might look like an act of philanthropy to those countries oppressed by Western supremacy, but behind the partnerships there is a specific plan to build an impenetrable fortress around a central power, a series of ramparts technology to be used to to operate in a hidden manner against countries with which it does business. Give me the parallels with the theory of networking, these collaborations with China are important alliances used to build its demilitarized zone (DMZ), a large region within the cyber space exposed to the enemy, from which to move offensive, but in any case far from the nerve center of its infrastructure. Do not forget also that China is among the nations that import oil from Iran. The report is therefore far from philanthropic. 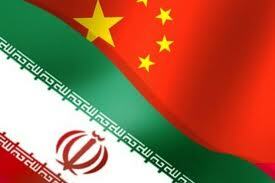 Let’s look more closely at the relationship between China and the Iranian government. Just in the last few months we observed a more aggressive policy of the government , of Teharan continuous skirmishes with the West to show to the world its new technological capacities. Hence the extreme events that have been advertised as the hijacking of U.S. drone and also millionaires technology investments for the acquisition of modern network infrastructure, provided by Chinese giant Huawei. China in recent years has made ​​extensive use of cyber operations, with the purpose of information gathering and also with intent to be offensive. Cyber offensive to hit the key points of enemy countries, the information systems of banks and other institutions, no one can be considered safe. Obviously, however, so much media exposure does not benefit the business and therefore it is expected that those countries technologically close to Beijing can move similar offensives. We will face with a new cyber escalation, attacks led to the strategic objectives as probably already happened, new attacks attributed to groups of Iranian and Notrh Korean hackers, or even to the ‘ “Iranian Cyber ​​Army”. From my personal point of view I have no doubt regaring the fact that Iran Cyber Army’s constituent hacker groups is connected to the Iranian government, Cyber Army has proven to be always ready to attack every Ahmandinejad’s oppositor. Striking the Comodo hack case, no doubt that the Certification Authority was attacked with spy intention because its certificates are used in authentication mechanisms to some services of government agencies. Tehran certainly is not hiding, he understood how important it is propaganda to intimidate their opponents blocked by the need to have a unanimous international consensus to combat it. Iran has admitted that it was so was engaged in cyber warfare, and cyber attacks are part of their strategy. During the last year several attacks have been launched from Iran against Voice of America Farsi, Dutch government-funded Radio Zamaneh, which also broadcasts in Farsi, and microblogging site Twitter. China has alse exported the concept of internet censorship implemented with Israeli technology. The Tehran government infact also blocks the majority of foreign news websites, accusing Western media of taking part in a plot by the United States, Israel and Britain-led Europe, Against the Islamic Republic. Tensions rose after the Iranian nuclear program has been threatened by the worm Stuxnet, the first cyber weapon, for the development of which they are accused the Americans and Israelis. The collaboration between China and Iran did not stop at just at warfare, anti-ship ballistic missiles have been projected with the collaboration of both governments. In February 2011, Iran demonstrated a short-range anti-ship ballistic missile named Khalij Fars ( English: Persian Gulf ), a missile based on the Fateh-110 which successfully hit a stationary target vessel. It has been also the deployment of a short ranged ballistic missile based on the Chinese missile Dongfeng 11 (English:”East Wind) operated by the People’s Republic of China. Do you think these collaborations are not really dangerous? Unfortunately the money folds all logic, while you decide for the total embargo to Iran new economic relationships are intertwined with the Chinese government, complying with the aggressive policy.